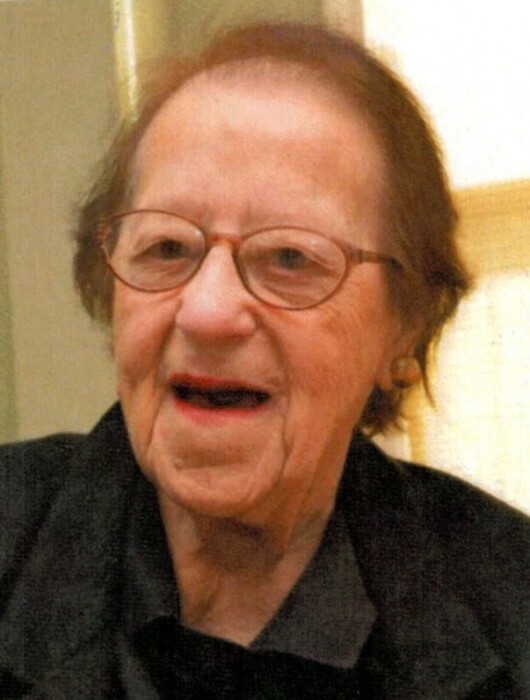 Obituary for Catherine P. Ulman | Magner Funeral Home, Inc.
Catherine P. Ulman, age 100 of Norwalk, died peacefully at Westport Rehabilitation on Thursday, August 23, 2018. She was the wife of the late Steven H. Ulman. Catherine was born in Norwalk on December 21, 1917, the daughter of the late John and Margaret (Phillips) Smith. She was a retired pediatric nurse. Catherine was a member of the VFW Woman’s Auxiliary, enjoyed going on cruises, she was a avid lifelong Boston Red Sox fan, and will be remembered for the love of her family. Survivors include daughters Susan Torraco and Colleen Streb (Robert), grandchildren Andrew Torraco (Jennifer), Michael Torraco (Kirsten), Kimberly Sala (Michael) and Kelly Streb, 6 great grandchildren, 3 great-great grandchildren and several nieces and nephews. She was also predeceased by her brothers Robert and Charles Smith and granddaughter Jenna Streb. Graveside services will be held at 1:30 PM Monday, August 27, at St. John Cemetery in Norwalk. Donations in Catherine’s name may be made to Westport Rehabilitation Complex, 1 Burr Rd., Westport, 06880/ Recreation Fund.